This is an activity book to help teach children about the armor of God and stories taken from the Old Testament. So get a dry erase marker and get ready to have a fun time while learning from the Bible. The Scripture references for this book come from Ephesians 6:10-19 (The Armor of God), Joshua 6 (The Battle of Jericho), Israel vs. the Five Kings (Joshua 10:1-15), Deborah, Barak, and Jael (Judges 4), Gideon vs. the Midianites (Judges 6-8), David and Goliath (1 Samual 17), and Judah Taken Captive (2 Chronicles 36). Now the Scripture is just referenced so you will need to have a Bible nearby so that you can read this before the search for the listed objects commences. Each story is pictured on nearly 2 pages with a list of items to look for. One of the items to be searched for is a piece of the Armor of God. There is a Christ Connection for each story showing how the Old Testament past of Israel was a glimpse of what Christ would be for the whole world. I'll admit it is fun trying to find all the objects and this would be a really fun family activity, maybe have different colored markers for each person to use and take turns finding the objects. However you decide to use this book it will be an enjoyable and educational time for all involved. Though I will admit some of the objects may be difficult to identify which is why reading the Scripture first is important as it offers descriptions of the people that may be helpful. I was provided a complimentary copy of this book by the publisher with no expectations but that I offer my honest opinion. All opinions expressed are my own. Maybe you’ve heard about the battle of Jericho and David’s battle against Goliath, but what about the day the sun stood still? 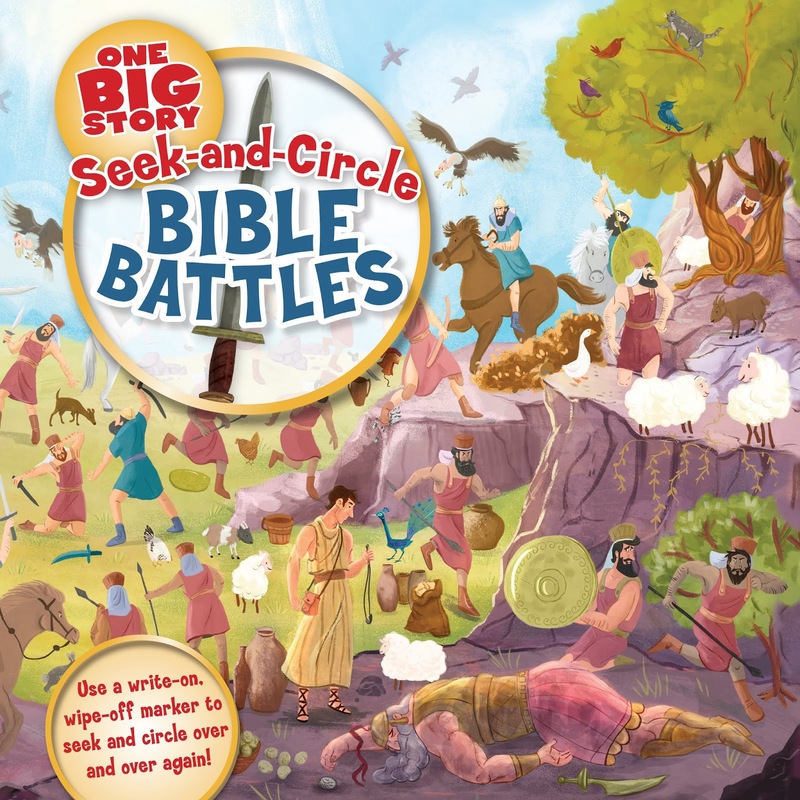 Inside this book, explore six of the major battles from the Bible, filled with dozens of items for you to seek and circle! Every battle scene also has something to tell us about God’s plan for His people through His Son, Jesus. For an added challenge, look for the six pieces of the armor of God as you explore each battle. Use a wipe-on, wipe-off marker to seek-and-circle over and over again! This BH Kids book includes a Parent Connection, an easy tool to help moms and dads (or anyone else who loves kids) discuss the book’s message with their child. We’re all about connecting parents and kids to each other and to God’s Word.